How to make the same response provide different data depending on the request content? Of course you can have a separate response for each request, but that is not scalable - what if you need 1000 responses? 10000 responses? MockMotor supports something called mock accounts that approximates (mocks?) real accounts of the backend system. 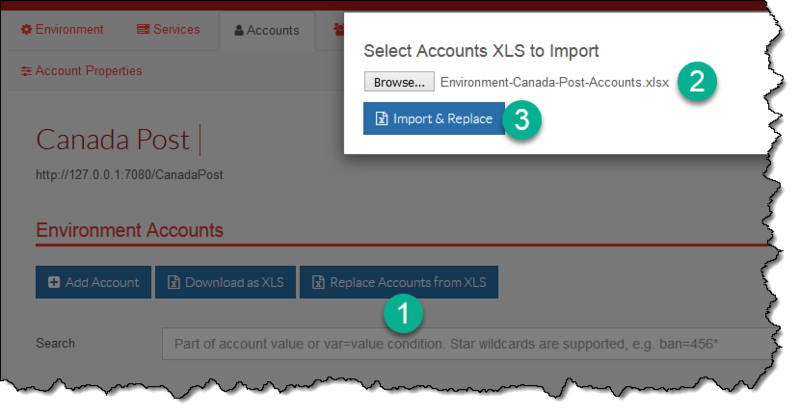 A mock account can be selected based on the request data (say account number) and the response can be generated with mock account values in it. Let’s see how we can do that. 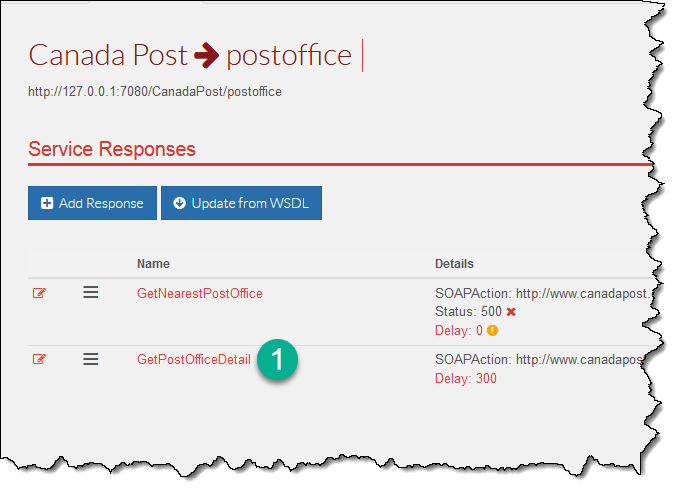 I will use Canada PostOffice SOAP service as the example. 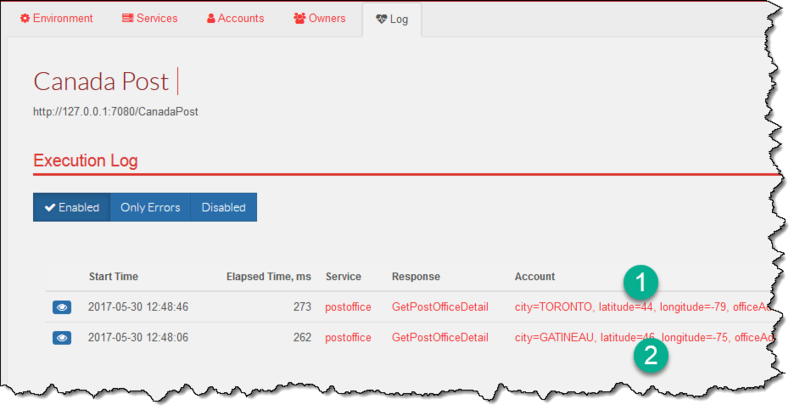 It only has two operations, and we’re going to make GetPostOfficeDetail a data-driven one. But then QA folks need to test more scenarios. For instance, they need an address in Ontario, and another one in Quebec, and probably 100 other variations. We do not want to do 100 variations of hardcoded responses, and so it is time to use mock accounts. We have properties city, latitude, longitude, postal-code, province and office-address. These are the properties that we need to script based on a mock account. 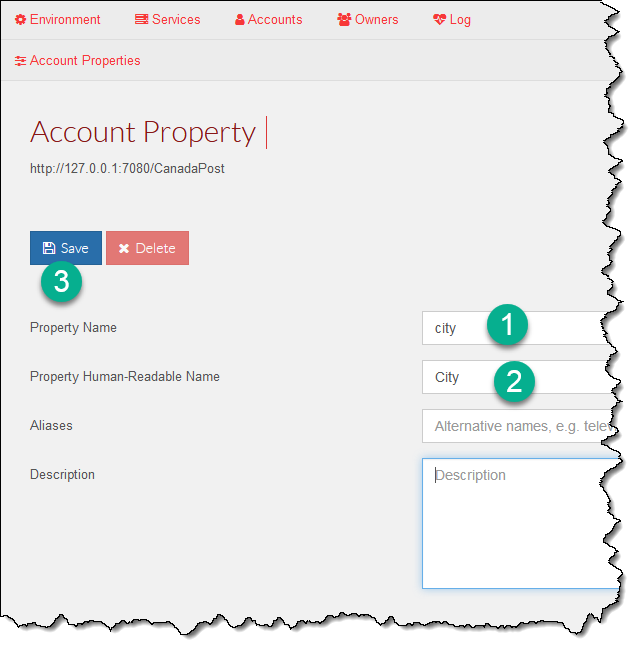 It may help to think of these properties as columns in a mock accounts spreadsheet. 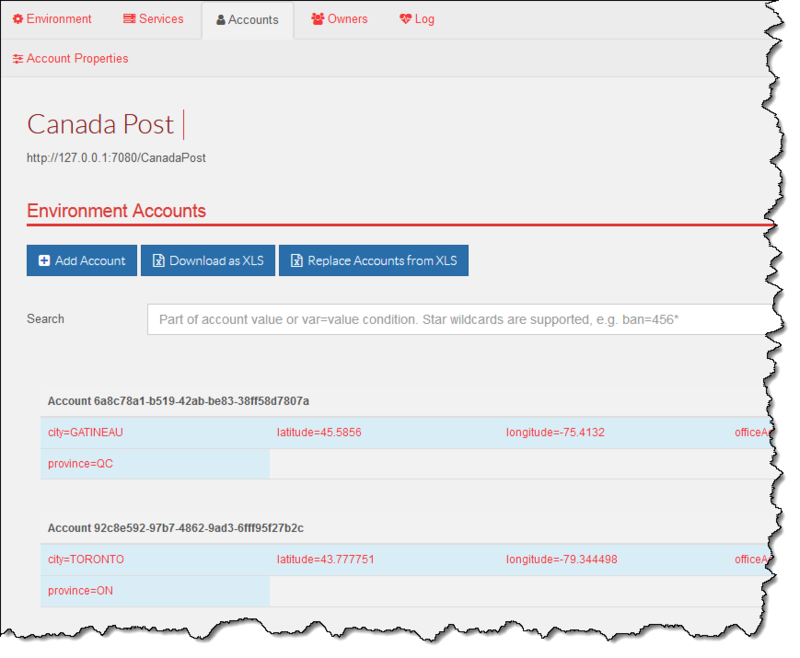 Mock accounts are environment-wide, and so account properties are configured on environment level. 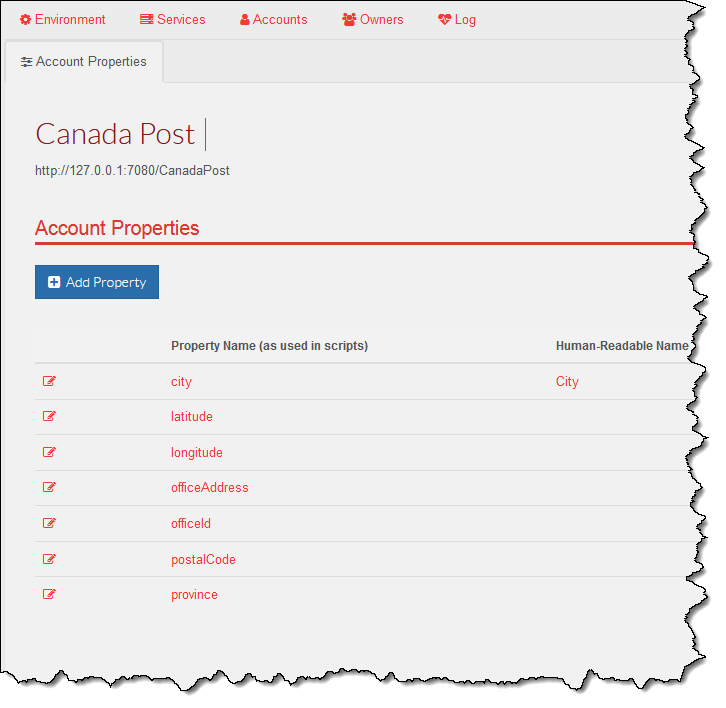 Navigate to environment Accounts tab, and then to Account Properties. 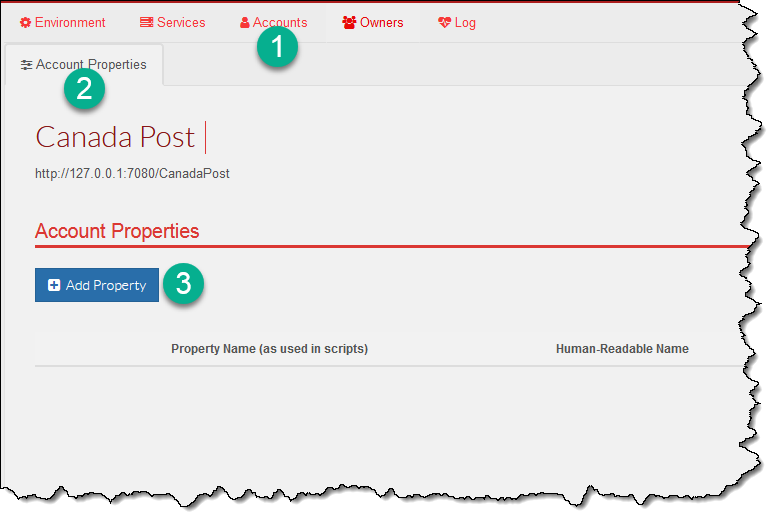 You can see that the list of properties is currently empty. Not for long! A property has a mandatory name which is name used in scripts, and a few other optional values. Here I create a property city with a human-readable name City (that was unnecessary, really; human-readable name is for cases when the property name along doesn’t explain its purpose). Property name cannot have anything except alphanumeric symbols, so the dashes had to be removed. 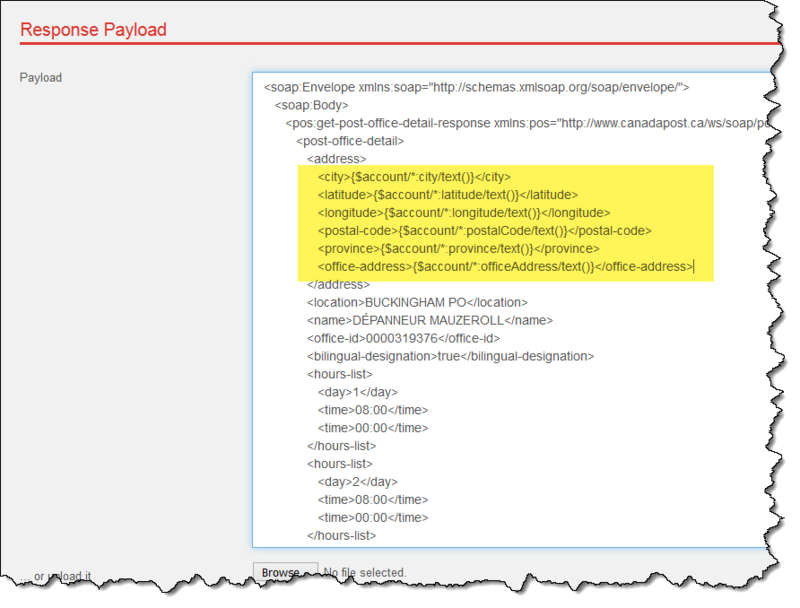 Now lets navigate back to GetPostOfficeDetail response and make it select and use an account based on the request. We’re going to use that value to select a mock account. 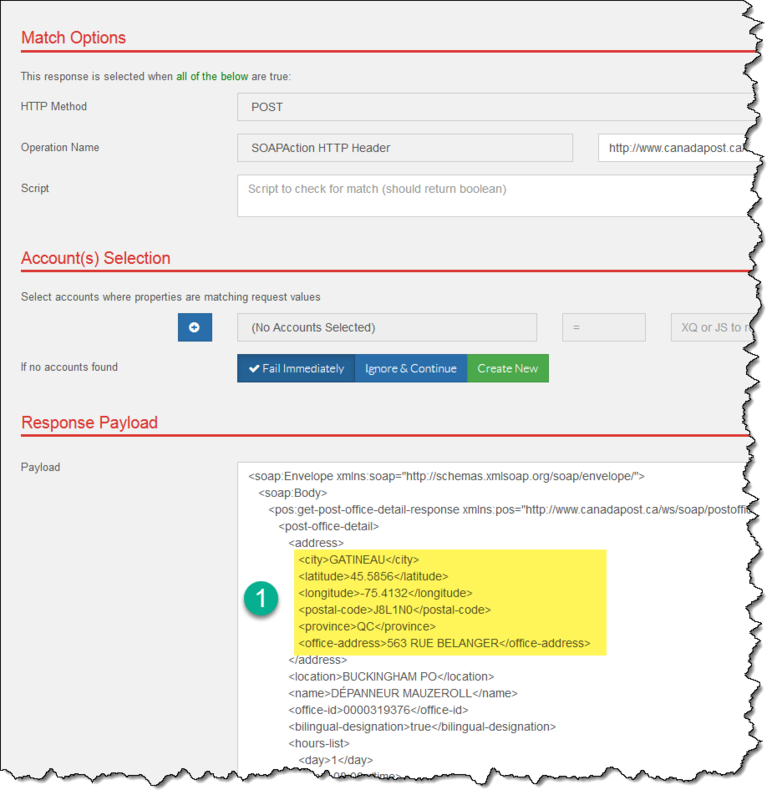 MockMotor will execute the XPath to retrieve the request value, and then find all the environment mock accounts that have that value in officeId property. The found account is placed into $account (and $accounts if many found) variable. If such an account is not found, the request will fail immediately. All other values in the response remain hardcoded. Since we do not have test scenarios that could be affected by that, we do not really care. You see that MockMotor actually tries to use the office-id value to search for accounts, but alas, none found. Good, we have a baseline. The fastest way to create a lot of accounts at once is to upload them with an Excel spreadsheet. Save this file and modify it any way you like - just keep the header names in place. As you can see, the values in the response are populated from the selected account. To help in troubleshooting, MockMotor reports what account was used for an invocation in the execution log.